As the time draws near for planting our butterfly garden we are busy gathering the plants that we have chosen to put in beginning the first week of July. While this is not the ideal time to be planting we have to work within the dates that the Bournelyf Special Camp operates. Our plant list and design was done by Master Gardener Apprentice Taryn Giunta and the emphasis has been put on using Natives or Native Cultivars. We have received donations from other Master Gardeners, local nurseries, and also have been growing some plants from seed. We are buying the majority of our plants from nurseries however. I have discussed some of these plants in detail in previous posts and others I will discuss in more detail here. 1. Achillea millefollium: Commonly known as Yarrow, a cultivar of this plant ‘Terra cotta’ was covered in this previous post. We will be planting approximately 10 of this species although it is not this specific cultivar. We were lucky enough to receive these as a donation. Yarrow is a hardy and versatile perennial with fernlike leaves and it blooms in various colors including red, pink, salmon, yellow, and white. Because it is easy to grow, tolerates dry conditions, and attracts butterflies it will work well in our garden. 2. Asclepias tuberosa : Butterfly Milkweed was covered in this post. It is a must for the Monarch Butterfly. 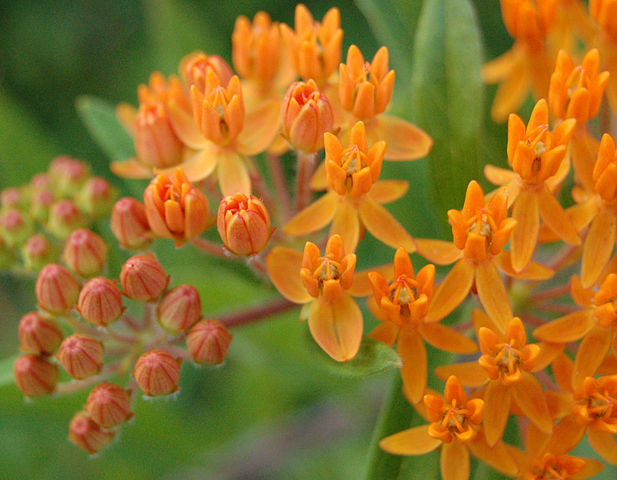 An interesting fact about this species, sometimes called Orange Milkweed, is that it does not have the milky sap that we associate with Milkweeds. It has a tough root which Native Americas often chewed for pleurisy and other respiratory problems and so it is also commonly referred to as Pleurisy Root. We will be planting five of this species. 3. 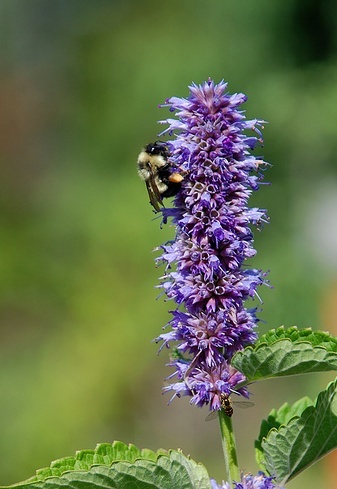 Agastache foeniculum: Commonly known as anise hyssop, we have had a donation of four of these plants and we will be adding one of the cultivar ‘Blue Fortune’. The leaves and the tiny blue flowers of this plant smell and taste of anise. It actually is from the mint family or Lamiaceae. This is a herbaceous perennial that grows from 1-4′ high by one foot wide in zones 4-9. It is propagated easily by seed or root division and does self seed. The two lipped spiked flowers are attractive to butterflies, bees and birds. The cultivar ‘Blue Fortune‘ is long flowering, heat and drought tolerant, and insect and disease resistant. It is a hybrid of a species native to the US and Korea. 4. 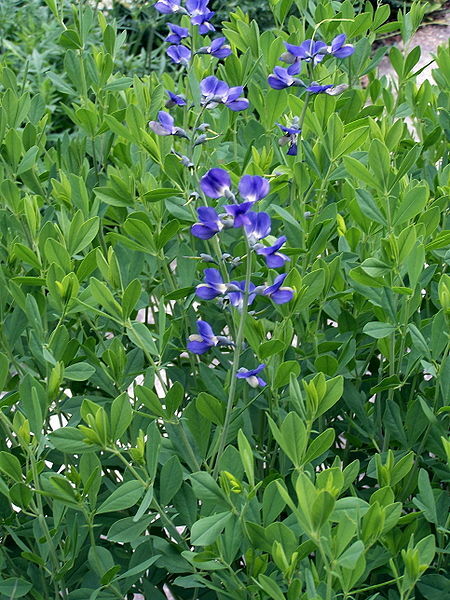 Baptista australis ‘Blueberry Sundae’: Commonly known as False Indigo, we will be using the ‘Blueberry Sundae’ cultivar. You can click to read more here. This is a deer resistant plant which is helpful since our garden’s location is in an area where deer are prevalent. We are planting five of the false indigo. 5. Clethra ainfolia ‘Hummingbird’: Commonly called sweet pepper bush or summer sweet, we previously discussed the cultivar ‘Sixteen Candles’ here. ‘Hummingbird‘ is hardy in zones 3-9 and grows to a height of 2-4, spreading from 3-5’. 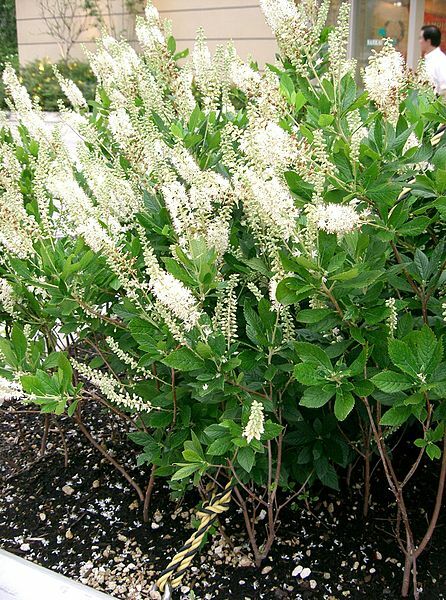 It has creamy white blooms that appear on 3-5″ racemes (spikes) from July-August. Like ‘Sixteen Candles’ this cultivar is also compact and slow spreading and it likes to be in full sun to part shade. It prefers medium to wet soil. Plusses for use in our garden are its size, attractiveness to butterflies and bees, the fragrance of its flowers, and good fall color (yellow). It also offers winter interest with spikes of dark brown seed capsules. This plant is also recommended for Rain Gardens. We will plant two. 6. Coreopsis grandiflora/lanceolata ‘Baby Sun’ and Coreopsis verticillata ‘Zagreb’: Tickseed ‘Creme Brûlée’ was discussed in this previous post. We were unable to locate this cultivar however. ‘Baby Sun‘ is a herbaceous perennial native cultivar hardy in zones 4-9. It requires full sun and grows quickly to 15-20″ tall by 1’ wide. It blooms from late spring through summer, but deadheading is highly recommended to encourage rebloom into fall. It needs to be watered in periods of really dry weather. Propagation is from seed and rootball division. We will be planting four. ‘Zagreb‘ or whorled tickseed is a thread leaf coreopsis with bright yellow flowers and delicate green foliage. It is hardy in zones 5-8 and grows in dense clumps from 8″ to 1.5’ tall. They can bloom from late spring to late summer and sometime until first frost. Shearing them in mid summer encourages fall rebloom. This perennial spreads by rhizomes and self seeding but does not become annoyingly invasive. ‘Zagreb’ is a native cultivar in our area. Coreopsis are attractive to butterflies and deer and rabbit resistant. The name Tickseed comes from the appearance of the blooms when they go to seed. 7. Echinacea purpurea – ‘Kim’s Knee High’ and ‘ Summer Sky’: The Eastern purple coneflower, sometimes called Hedge coneflower is a frequently seen perennial in our region. It is easy to grow, and heat and drought tolerant. The flowers occur singly at the top of the stems and they have domed, purplish brown, spiny centers surrounded by drooping petals. The stems are smooth and 2-5′ with rough, scattered leaves. It likes dry, well-drained soil and sunny to partially shaded conditions. It is attractive to pollinators including butterflies, native bees and hummingbirds. 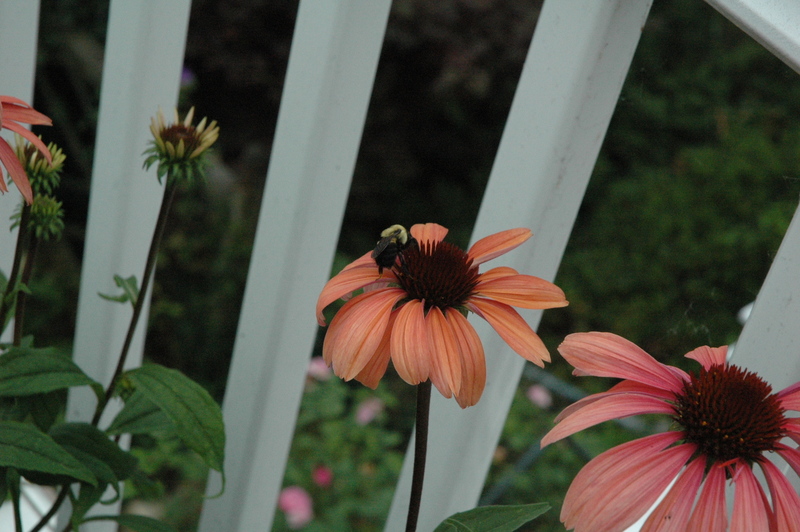 The photo below captured just one of the bees attracted to the ‘Summer Sky’ cultivar in the nursery I have on my deck where I am babysitting plants that will become part of our Bournelyf Butterfly Garden. This cultivar is quite fragrant and heat and drought tolerant. I grows 3 to 3.5′ high and requires 18″ spacing. It is hardy in zones 4a to 9b. Propagation is through division. 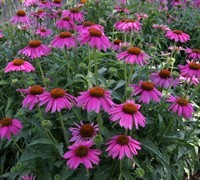 The ‘Kim’s Knee High’ cultivar shown below is 1 to 2′ in height with a 1 to 2′ spread.. Bloom time is June through August and it enjoys the same conditions as other purple cone flowers, It will work well in our garden because it is shorter and more compact than many purple coneflower cultivars and like other cultivars it is adaptable to conditions like drought, heat, humidity and poor soil. Also deadheading is not required, although it improves it’s appearance. We will be planting 5 of the ‘Kim’s Knee High’ and 3 of the ‘Summer Sky’. Fun fact: The genus Echinacea is from the Greek echino which means hedgehog. This is a related to the spiny center of it’s flowers. 8. 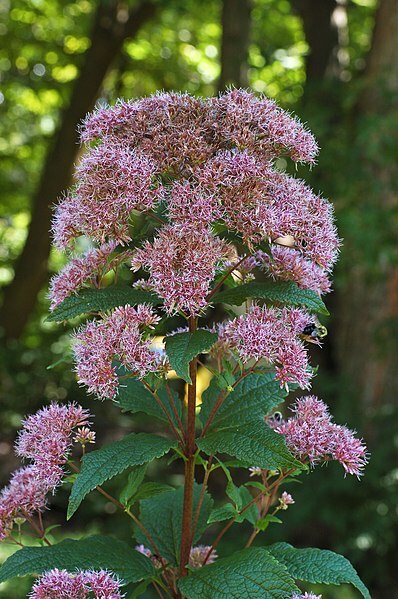 Eupatorium dubium ‘ Baby Joe’: Commonly called Joe Pye Weed this cultivar was discussed in the post Native Plants Part Four. We will be planting two of ‘Baby Joe’ and two of an unknown cultivar although it is described as only grown to 2-4′ in height. Because the Joe Pye Weed can get quite tall in some cases, we wanted to go with the shorter version for our garden. Below is a photo of the cultivar ‘Little Joe’ which is another small cultivar. I will cover the rest of our final plant list in future posts. This entry was posted in Native Plants, Perennials. Bookmark the permalink.